Markers allow you to place points of interest on the map, room descriptions or party notes. 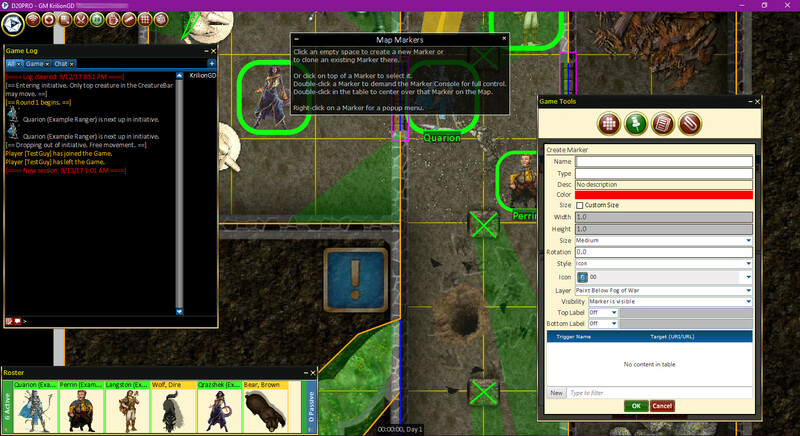 For those who like to add a description of the scene in the Game Log such as descriptive text in published adventures, a great way to pre-program the map is to create Map Markers with the descriptive text in the marker description. Select the Map Markers icon. Click on the map and create a Map Marker where you clicked. Name: This is the name of the marker when viewing all Game Tools Map Markers. Type: This is the type of marker, you can see this description when viewing all Game Tools Map Markers. Desc: Clicking the box will bring up the Edit Description screen where you can type or paste in the full description. This description will be sent to the game log when pressing the "As Box Text" button. Color: Clicking on the box will bring up a Color Picker. 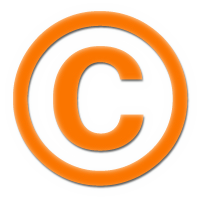 Specifying a color here will only affect non-icon related markers. Size: Choose between Small, Medium, or Large, where Large fills one full grid square. Style: Choose between Circle, Triangle, Square, or Icon. Icon: Choose between the different icons in the icon library. Layer: Choose between Paint Above Creatures or Paint Below Creatures. Visibility: Choose between Marker is visible or Marker is invisible. .
Top Label: Choose between Off, Name, or Custom. Bottom Label: Choose between Off, Name, or Custom. / = Toggle button to Hide/Show to Map Marker to the players. / = Toggle button to Lock/Unlock the movement of the Map Marker on the map. = Delete this Map Marker. Create = Creates a new Map Marker and places it on the map. (This is a legacy feature and is grayed out). Focus = Adjusts the map to center the selected Map Marker. 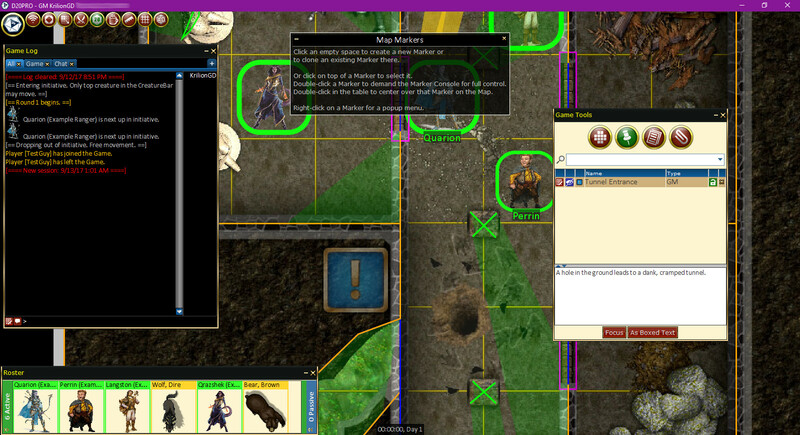 As Boxed Text = Creates an announcement from the description of the Map Marker to the Game Log. You can add your own Markers to the image set. This is an advanced task, please see GM Guide->Advanced: Custom Data.